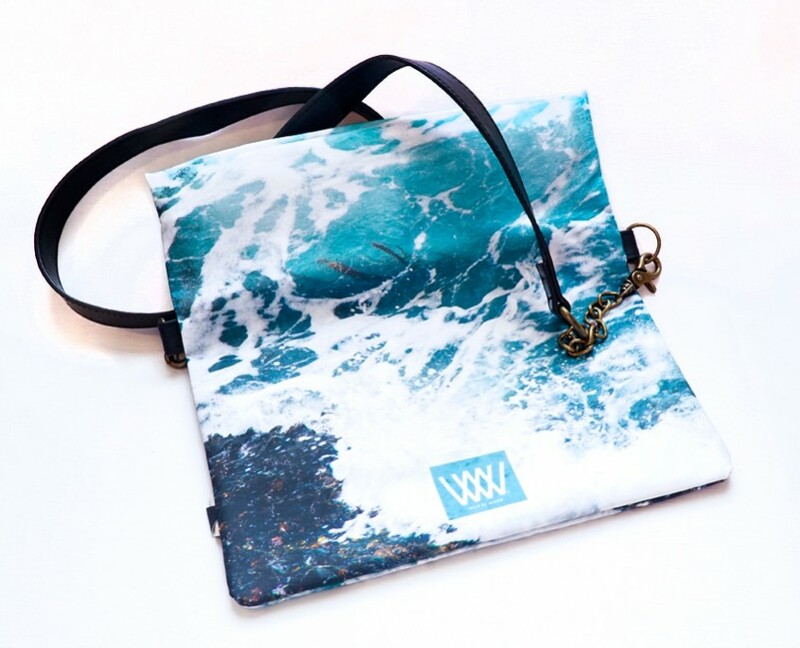 Water-resistant folded clutch with strap. 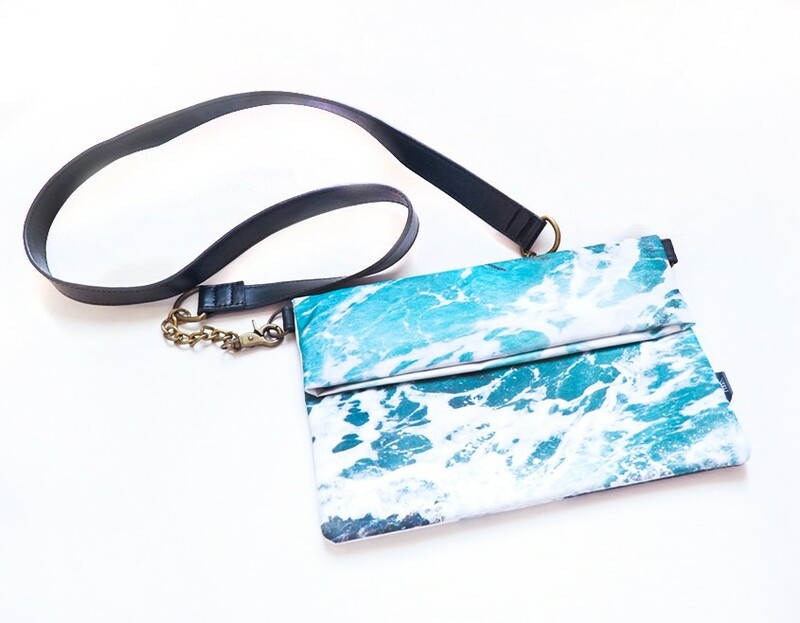 Featuring turquoise waters, seaweed and sea foam. 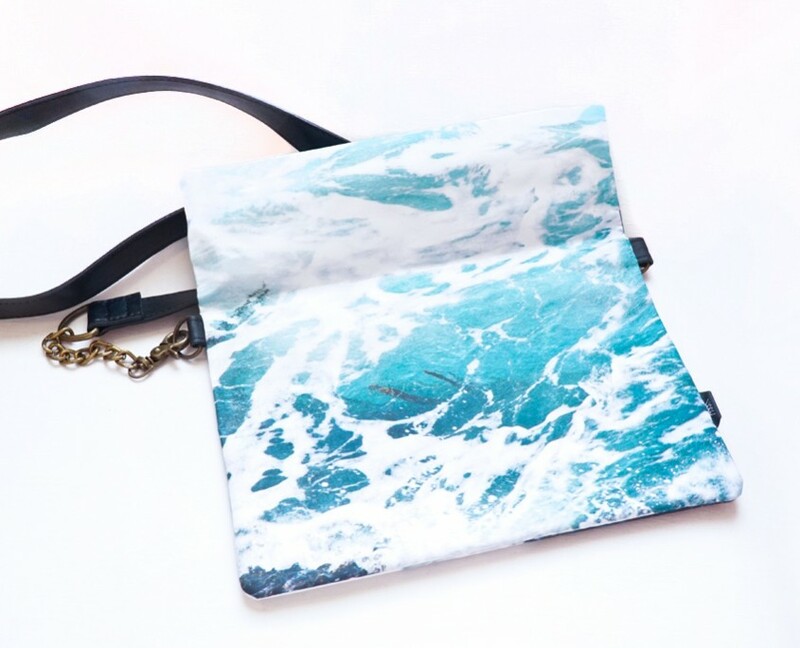 Water-resistant over-the-shoulder folded clutch. Fully-lined and zipped, with inner pocket.